Check out some of the interesting news stories and developments affecting California drivers from the past month. Speeders, crosswalk violators and distracted drivers were among the people contacted during a "successful" pedestrian safety operation conducted by the California Highway Patrol on Tuesday morning in Vandenberg Village. California is still working out the kinks after the legalization of recreational marijuana use materialized in January. Cannabis-impaired drivers continue to present a challenge for law enforcement. Reading the latest SmartAsset survey of the states with the country’s worst drivers, Californians don’t know whether to be thrilled that we’re in third and not first place or angry because anyone who drives in the Golden State knows full well that we’re definitely the very best at very bad driving. As students head back to school Wednesday, the Fremont Police Department is preparing for higher-than-normal traffic volume around schools, and will conduct enforcement patrols throughout the school year, starting with added patrols during the first week of school. Along with their increased presence, police urge parents and drivers to be extra cautious and proactive about traffic safety. TRIP has released key transportation facts on California infrastructure, noting that driving on insufficient roadways costs residents a total of $61 billion each year. In the report, it has calculated the cost to the average motorist in the state’s largest urban areas in the form of additional vehicle operating costs (VOC). After she was injured in a car accident allegedly caused by a driver impaired by pot, state Controller Betty Yee is backing a bill approved Monday by the Legislature that aims to begin addressing the problem of drugged driving on California roads. The measure sent to Gov. Jerry Brown would require the California Highway Patrol to report on how many motorists stopped for impaired driving are allegedly under the influence of marijuana. A California program to fight climate change may now add more to the cost of gasoline than the state gas-tax increase that many voters want to repeal. The Low Carbon Fuel Standard, designed to cut greenhouse gas emissions from fuel, now adds 12 to 14 cents per gallon to the cost of gasoline sold in the state, according to an estimate from the Oil Price Information Service. The fiercely debated gas tax increase, which took effect last year to fund road repairs, added 12 cents to the state’s gasoline taxes, which were already among the country’s highest. We've all experienced it — you're driving the speed limit and nearly zoom into the back of another car that's traveling 10 mph slower and ping-ponging between the lane boundaries. Maybe the driver simply lost focus and will self-correct, you think. Wrong. You're met with brake lights even though no one and nothing is around. You speed around the driver and stare daggers through their window. But the teenager, buried in a phone, doesn't look up. 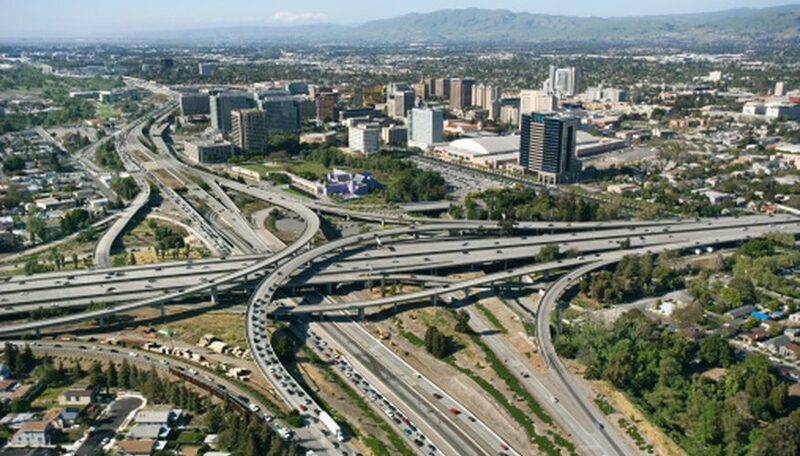 Driving on California roads that are deteriorated, congested, and that lack some desirable safety features costs California drivers a total of $61 billion each year. TRIP has calculated the cost to the average motorist in the state’s largest urban areas in the form of additional vehicle operating costs (VOC) as a result of driving on rough roads, the cost of lost time and wasted fuel due to congestion, and the financial cost of traffic crashes. Due to inadequate state and local funding, 68 percent of major roads and highways in California are in poor or mediocre condition costing the average state driver an extra $843 annually in additional vehicle operating costs as a result of driving on rough roads – a total of $22.1 billion statewide. One step closer to passage at the California statehouse is a bill intended to end the “rampant exploitation” of truck drivers who haul cargo from the state’s ports. About 25,000 truck drivers move goods between California’s 11 ports and various inland distribution centers, according to a bill analysis. In fact, more than 40 percent of U.S. shipping-container traffic flows through the ports of Los Angeles, Long Beach and Oakland. Driving on Los Angeles-area roads costs motorists nearly $3,000 a year in vehicle repairs, fuel costs, the results of crashes and lost time because of traffic congestion, a transportation research organization said Wednesday.